Maintaining a reliable and technologically current IT infrastructure is complicated. We know there is a delicate balance between having an up-to-date environment and completely overspending on technology you may not need. Network Dynamics customers are able to take advantage of our engineers’ intimate knowledge of their environments by utilizing Network Dynamics for professional data center services as well. Network Dynamics provides a variety of services that help eliminate unnecessary IT spends and get the most life and efficiency out of your IT equipment. From data center moves to asset disposition and recycling, we can help handle all phases of your company’s unique IT lifecycle and keep your mission-critical components running smoothly. IMAC doesn't have to be a four letter word. Network Dynamics can handle all of your data center installs, moves, additions, and changes. When you purchase data center equipment and need a certified engineer to install it for you, call on Network Dynamics. We have CEs on call who are equipped to handle any install, big or small, at a moment’s notice. Whether your install is planned months in advance, or requires emergency attention within hours, we have the resources to execute any installation project with flawless precision. Plus—we guarantee our work. ΑIf you are preparing to relocate to a new data center, Network Dynamics offers consulting services to help you establish an action plan. 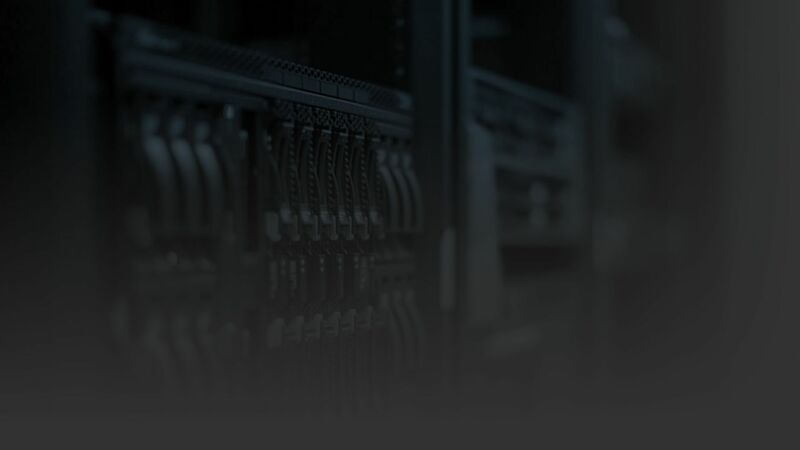 We will take care of the process from start to finish and help you allocate resources at your new data center so your infrastructure is utilized efficiently and intelligently. System upgrades or equipment refreshes may strike fear into the hearts of some IT managers, but they’re just typical projects for the experts at Network Dynamics. We’ll consult with you to figure out your best options and formulate an action plan that fits your timeline and budget. So when the time comes for an upgrade, you know who to call. Need to reconfigure your data center? There are a number of reasons to switch things up. Many times, reallocating and reorganizing your current resources can make a huge impact on your bottom line. Whether you are optimizing your data center to become more energy efficient, trying to maximize your current resources, or making any other change to your infrastructure, the experts at Network Dynamics can handle everything from start to finish. Many of our customers operate multiple data centers. It’s impossible to keep an eye on every machine across multiple sites without a remote monitoring solution. It’s easy to maintain the health of your data center and keep things in check when you utilize remote monitoring services from Network Dynamics. With our solution in place, both Network Dynamics and the customer will be alerted when anything—from room temperature to the disk space of a single device—seems off. Our warning system gives us the ability to diagnose potential problems before they manifest and puts you in control of the situation. It even has a "call home" functionality to ensure you are alerted of any issues. With Network Dynamics watching over your data center remotely, you can rest assured that any issue—big or small—will be caught and handled as promptly as possible. Relocating a data center? Don’t let it interrupt business as usual! Network Dynamics offers assistance with planning and executing your data center move. We can ensure that data center downtime is minimized throughout the entire relocation process. Once you are ready to make the move, we can completely replicate your data center on rental swing gear at your new site to ensure you experience zero downtime during relocation. We’ll also take care of packing and transporting your equipment. We use custom packaging for each machine and guarantee it will arrive at your destination no worse for the wear. - Analysis.. Our data center consultation team will evaluate your environment, your plans for the new environment, and the logistics of the relocation. - Logistics.. Our in-house logistics team has extensive experience packing, shipping and moving IT equipment. Because we hand pack and ship IT equipment every day, we understand the issues that might arise during a move. This expertise puts us in a position to address and prevent any shipment problems and ensure a smooth relocation. - Site Audits. We’ll review your current equipment, and our experts will recommend which machines should be upgraded, decommissioned, or replaced. Your power requirements will then be assessed, and all cabling, rack mounting hardware, and additional components will be put in place. If you’d like to speak with a specialist about relocating your data center, contact Network Dynamics Support today. Things can change quickly when it comes to the day-to-day upkeep of your data center. When you need extra hands, whether temporary, long-term, or project-based, Network Dynamics can help you fulfill your needs quickly and affordably through contracted services. Our contracted services can fulfill any of your short or long-term maintenance requirements. As leader in IT distribution, Network Dynamics employs manufacturer-certified engineers that can be contracted out any time, at a moment’s notice, and can handle any short-term repair or data center project. If a long-term technician is needed, Network Dynamics will contract out the best certified engineers in your area to fulfill your specific need. Our certified engineers available are at any time for contracted installs and equipment testing. Whether you purchase through Network Dynamics or through another vendor, you can rely on the certified engineers at Network Dynamics to install all hardware and software, complete the appropriate tests, and run diagnostics to ensure your product is working properly and integrated correctly. If you require more than a one-time contracted installation service, or if your company needs personnel to focus on a particular IT platform, we can also help you find qualified IT job candidates, Network Dynamics offers contact, temporary or permanent staffing services with guaranteed results. If you have engineers staffed in your data center, chances are they’re busy. When it comes time to replace a server or configure a new machine, Network Dynamics can step in to complete the project so your engineers can focus on their day-to-day responsibilities. We’ll stage and configure the equipment to your specifications and even send an engineer to execute the staging onsite if that is what you prefer. Once the hardware has been fully tested, we’ll deploy it seamlessly into your environment, making every possible effort to minimize any necessary downtime. If your staging project requires a team, such as the implementation of a new data center, the experts at Network Dynamics will work closely with your project leaders to plan each detail. We’ll work within your time frame to configure each component, completely test and burn in each machine, and build your infrastructure for optimal efficiency. When it’s ready to go live, we’ll be there to ensure everything is correctly deployed and that each component of the infrastructure operates as intended.